The units can be equipped with temperature and pressure sensors. Furthermore a Energy-Monitoring-Software allows the direct measurement of energy consumption. The insertion flow meter probe DVE from Heinrichs can be used everywhere where large pipe diameters prevent an economical use of In-Line meters. The unique probe design enables the use in district heating or central supply lines for steam, hot water or gases up to pipe diameters of 600 mm. The accuracy and turndown ratio　sets benchmarks against orifice systems. The installation e.g. from top can be done in existing pipes. 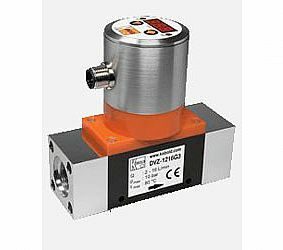 Itegrable temperarute and pressure measurement and up to 3 analog outputs give full overview over the measuring point. >Usabel for pipe sizes up to DN 600 / 24"
Central steam supply lines, district heating or central hot water circuitries have to be reliably monitored and the flow must be accurately recorded. The use or the retrofitting of In-Line instruments is not economical or technically not feasible. Orifice systems are obsolete, do not offer sufficient accuracy and do have only a very low turndown ration of 1:10. 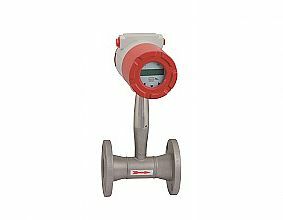 The instertion vortex flow meter series DVE offers optimal solutions for those process conditions and specifically for steam and hot water applications an energy monitoring software can be supplied. This software enable users to optimize their energy consumption and save energy up 30%.